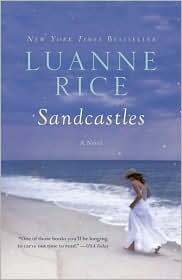 In bestselling author Luanne Rice’s unforgettable novel, the lives of one broken-hearted woman and her family are changed forever when one of her daughters brings back the man who left so many years ago to the family he’s always loved. Painter Honor Sullivan has made a life for herself and her three daughters–Regis, Agnes, and Cecilia–at Star of the Sea Academy on the magical Connecticut shore. Here she teaches art at the convent school’s beautiful seaside campus, over which Honor’s sister-in-law, mother superior Bernadette Ignatius, keeps a benevolent and watchful eye. No one could have foreseen the day rebellious Regis would come home with the stunning news that she was getting married. Nor could anyone have guessed how that sudden announcement would soon change all their lives forever.